The council is considering imposing a 20mph speed limit in Sneinton & Bakersfield, 'policed' by trained local volunteers. 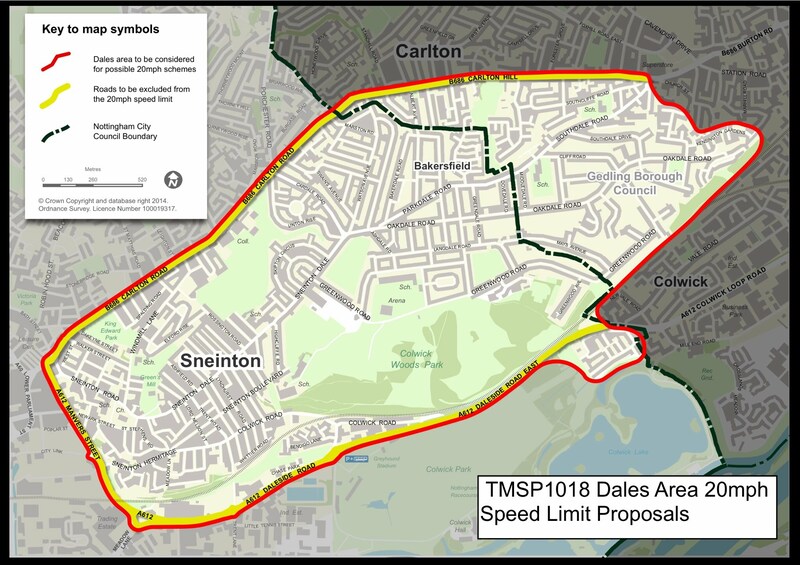 The speed limit is proposed for the area enclosed by Carlton Road, Manvers Street and Daleside Road, with those roads being excluded. The scheme would be advertised by placing 20mph signs along the roads. Volunteer 'Community Road Safety Groups' will be trained by the Council and Police to use speed cameras to identify any areas where the limit is frequently broken. The scheme has been trialled in Bulwell and is now being rolled out across the city. It is part of a central Government initiative to make roads safer for pedestrians and cyclists.